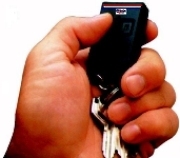 "We Have Assisted In Completing 11,078 Car Alarm Installations "ONLINE" Since 1994, & Counting!" You are allowed only:2(TWO) For Free! I understand That I am Only Allowed 2 FREE Diagrams From Alarmtek's Database I AGREE! TO THE TOP TO SEND! CLICK HERE ONLY WHEN YOU ARE DONE! Reverse Lamp : BLK/PNK HIGH PASS.